These five homes all feature Mastic’s Vinyl Siding. Home 1 – Mastic’s D6 Structure Vinyl Siding in Pebblestone Clay was used on this beautiful home. 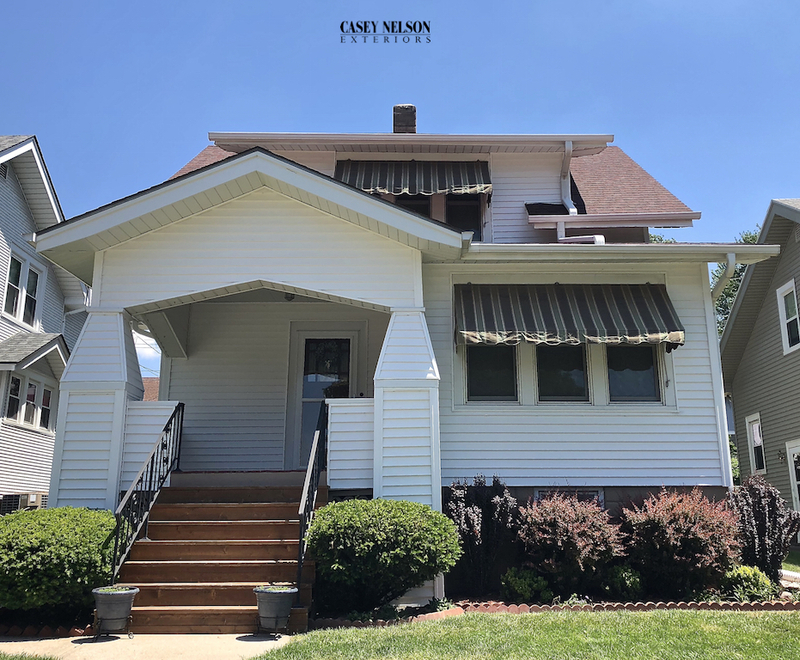 Corners, porch ceiling, wraps, soffit and fascia were all finished in white to add detail to the home’s features. Home 2 – Mastic’s Quest Vinyl Siding with a Dutch Lap in Harbor Grey was used along with Harbor Grey accessories to finish this home. 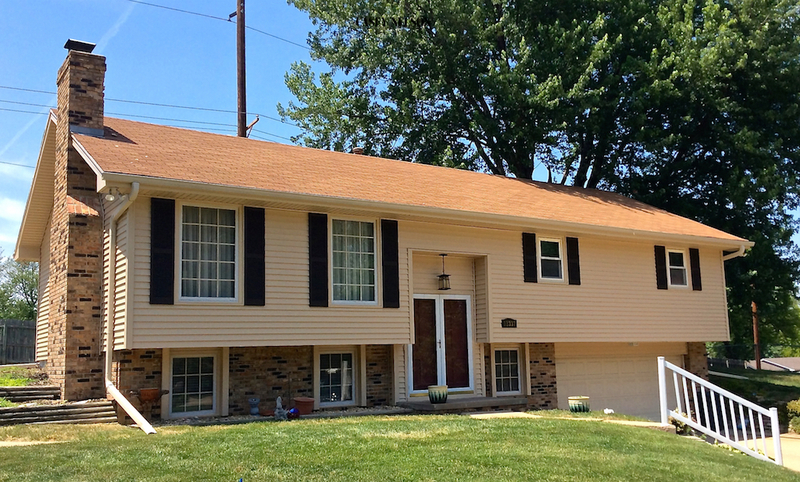 Home 3 – Mastic’s Ovation Vinyl Siding with a Dutch Lap in Sandtone was used to side this home. Corners and accessory pieces were also completed with Sandtone. White was selected for the porch ceiling and wraps. 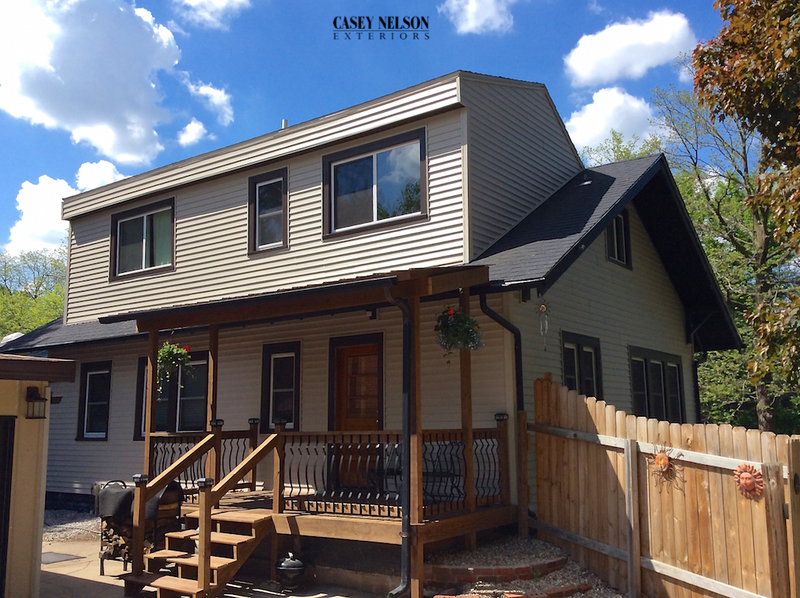 Home 4 – Mastic’s Ovations Vinyl Siding in Sandtone was used for this home. 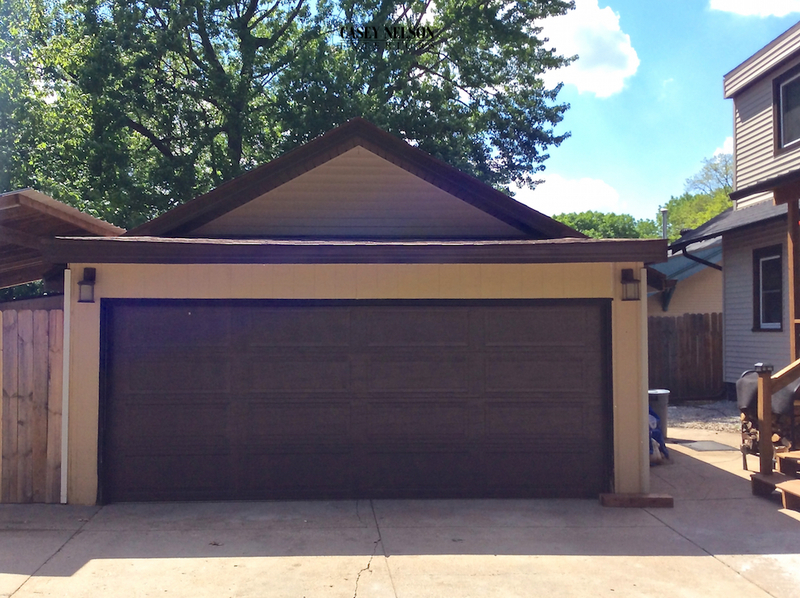 Russet Red garage wrap, fascia and shutters completed the overall renovation. 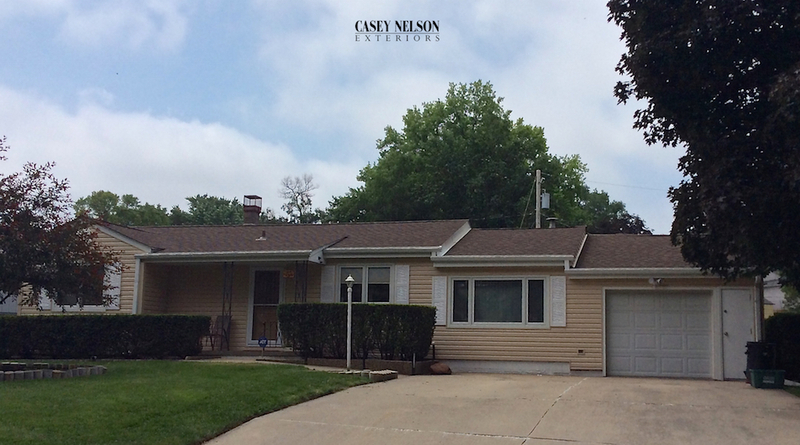 Home 5 – Mastic’s Ovation Vinyl Siding in Wicker was used. All accessory items and corners were also Wicker with Russet Red used for all freeze boards. 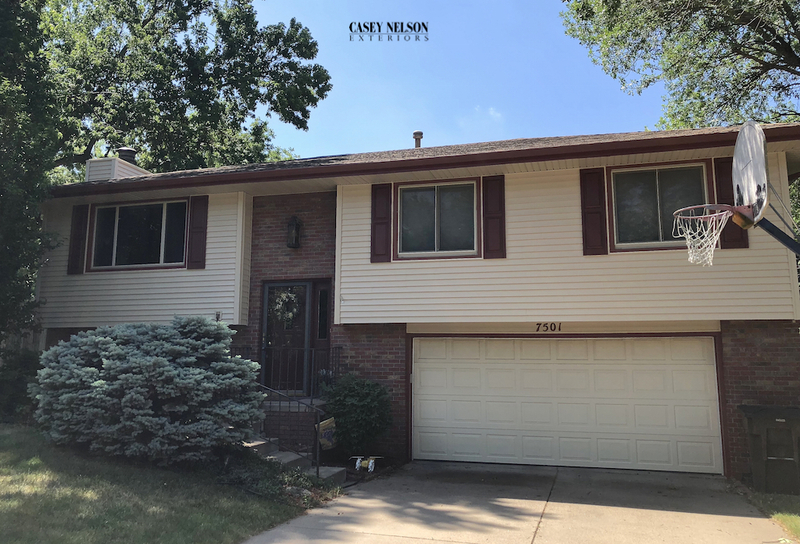 This entry was posted in Recent Projects and tagged Siding Contractor Lincoln NE, Siding Contractor Omaha NE, Siding Lincoln NE, Siding Omaha NE, Vinyl Siding Lincoln NE, Vinyl Siding Omaha NE on June 20, 2018 by Casey Nelson Exteriors. 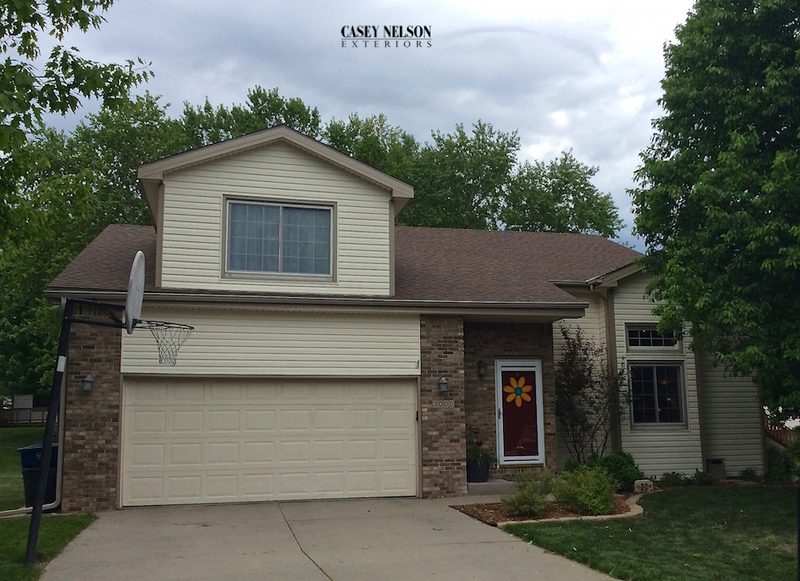 Casey Nelson Exteriors provides vinyl siding, windows roofing, and gutters in Lincoln and Omaha, Nebraska and surrounding communities. We are dedicated to affordable prices, quality products and most of all customer satisfaction! 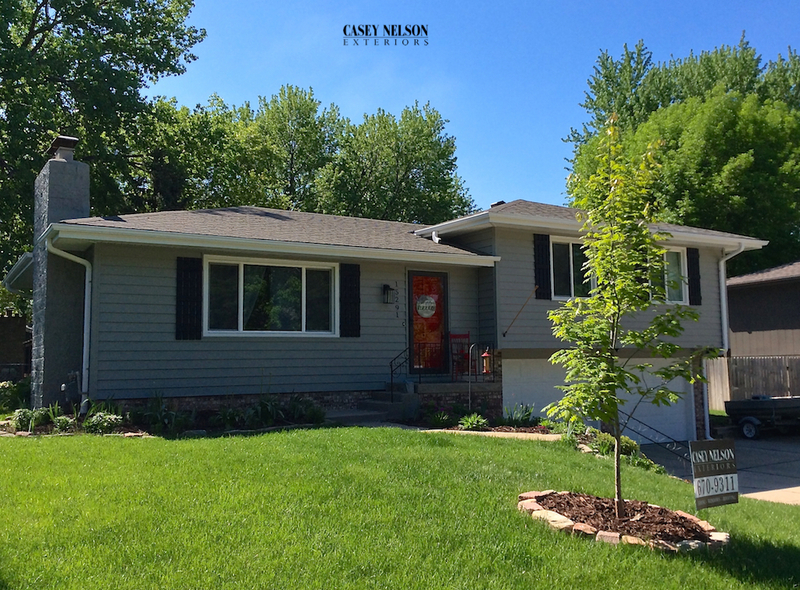 Our sole mission is to be the only vinyl siding contractors you can trust for superior customer service and total customer satisfaction. 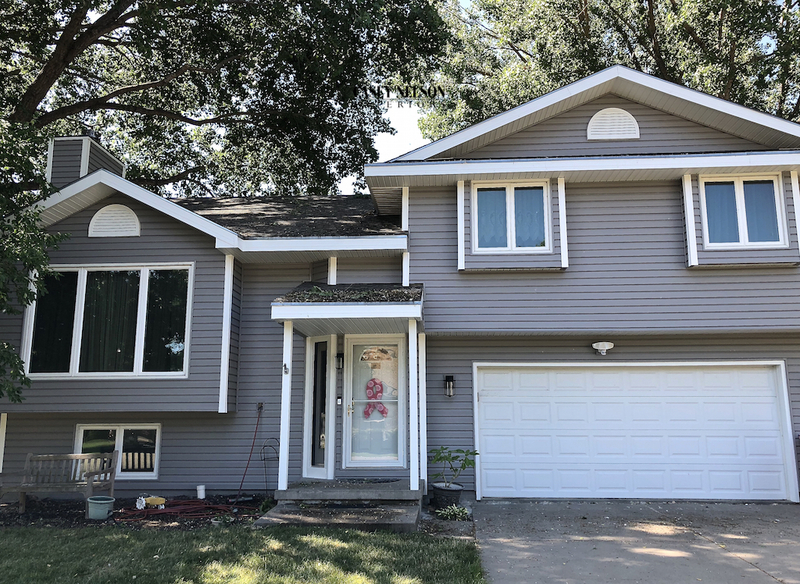 Our excellent customer service and craftsmanship in the vinyl siding industry has set us apart from the competition in Omaha and Lincoln, Nebraska. 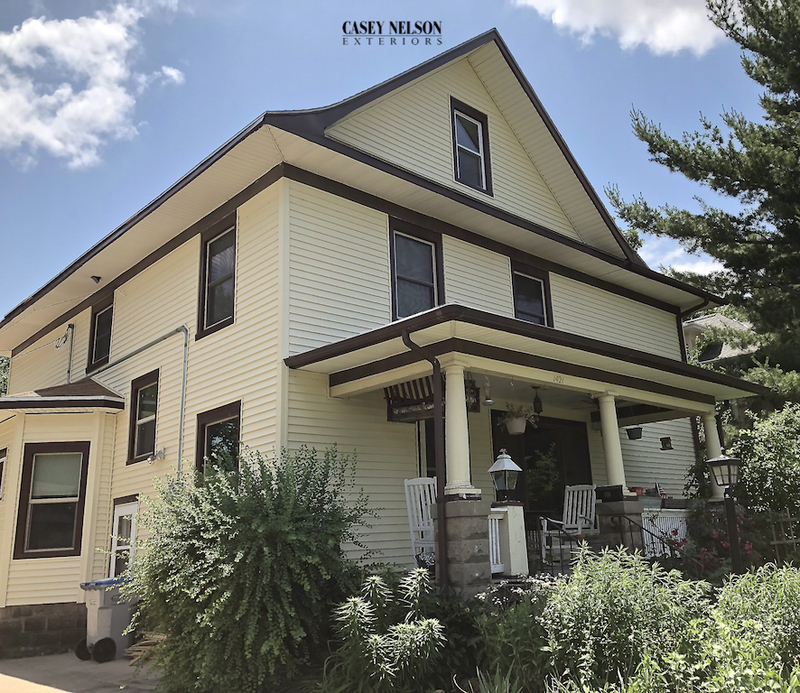 Along with our siding, windows, and roofing product, Casey Nelson Exteriors offers a wide variety of entry doors, gutter protection systems, and exterior stone systems to complete that total home makeover. 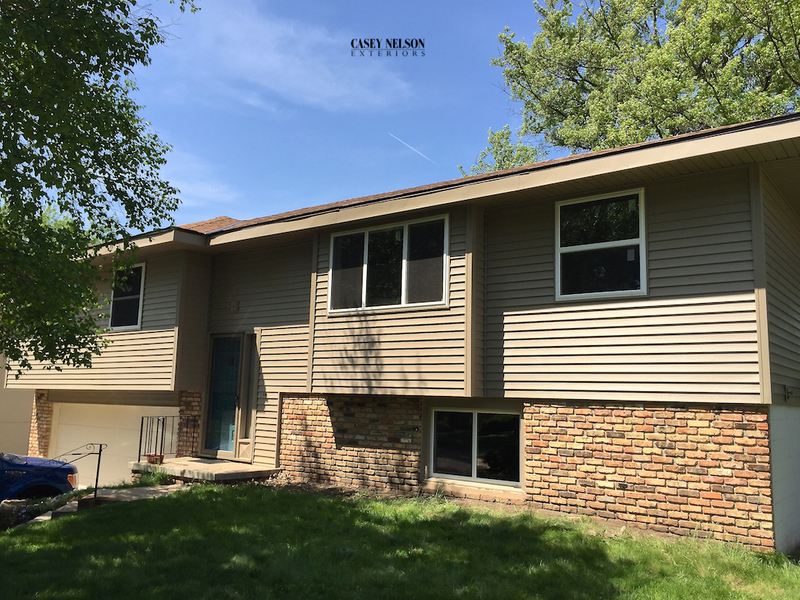 If you’re in the Lincoln or Omaha area, please give us a call today for a free, no-obligation estimate and find out how new vinyl siding and windows can provide your home with the beauty, durability, curb appeal and energy savings you are searching for. As a kid growing up on a small farm in Newman grove, Nebraska, I always dreamed of playing for the Huskers. Through hard work and dedication I achieved my goal of earning a Blackshirt. 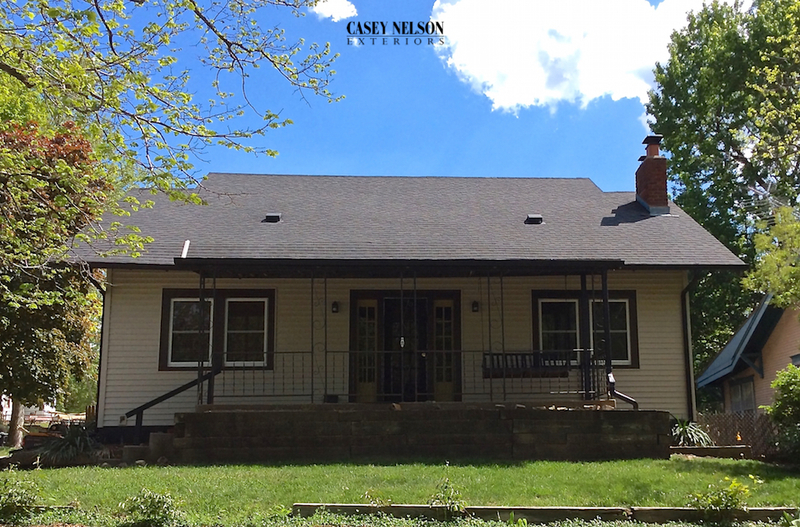 This same hard work and dedication are the values I’ve instilled into my company, Casey Nelson Exteriors. My team is committed to providing friendly superior service from start to finish. 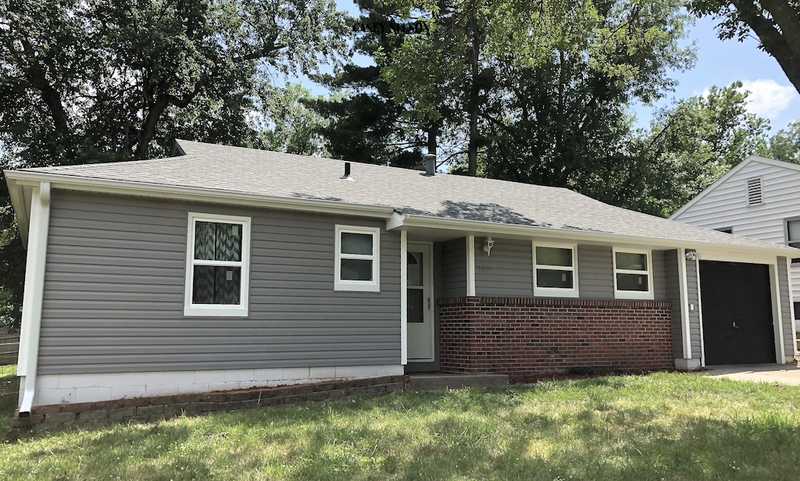 Home 1: Mastic’s Dutch Ovations Vinyl Siding in Harbor Grey with porch ceiling, porch beams, soffit and fascia in white. Home 2: Mastic’s Ovations Vinyl Siding in Wicker. Corners, wrap, fascia and octagon vent in Pebblestone Clay. Home 3: Mastic’s Dutch Ovations Vinyl Siding in Harbor Grey. Corners, wrap, fascia and soffit in White. Home 4: Mastic’s Vinyl Siding in White. 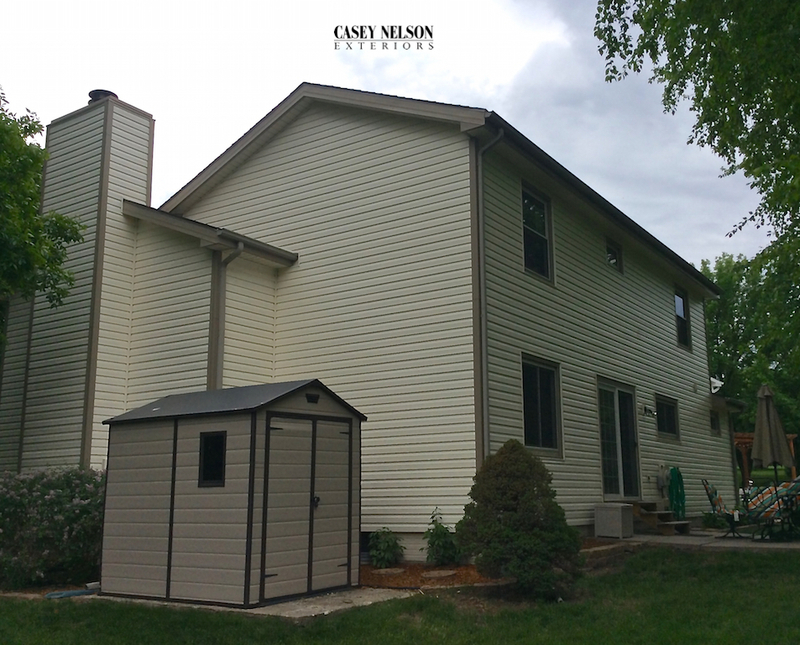 Home 5: Mastic’s Horizontal D4 Vinyl Siding in Sandtone. 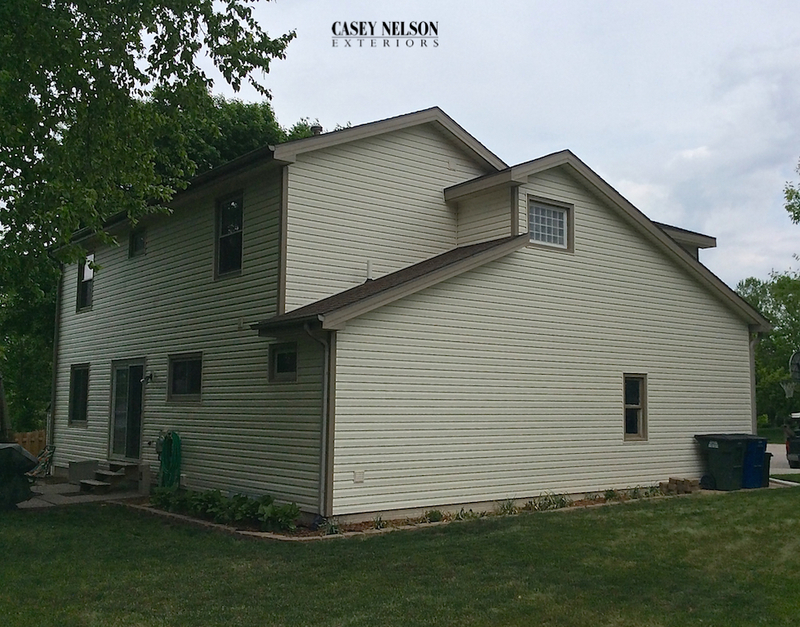 Home 6: Mastic’s Vinyl Siding in Classic Cream. IKO Roofing in Earthtone Cedar. 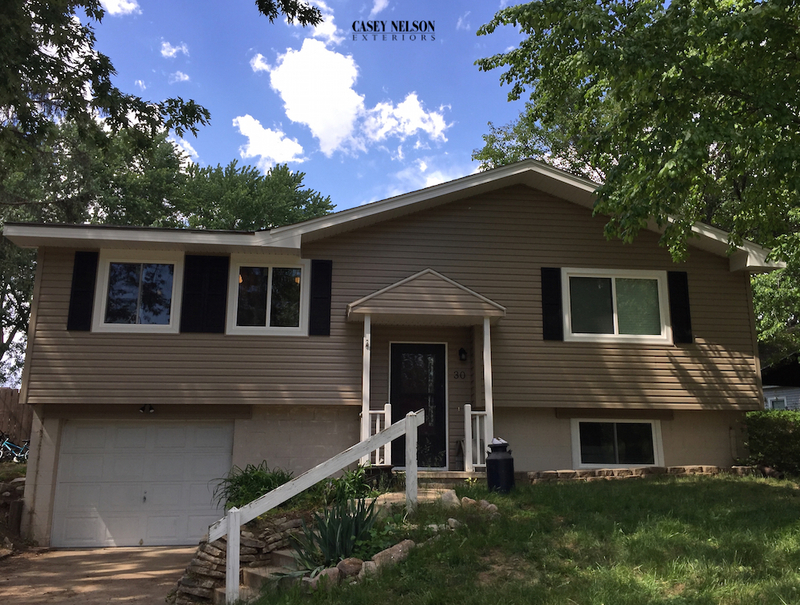 This entry was posted in Recent Projects and tagged Siding Contractor Lincoln NE, Siding Contractor Omaha NE, Siding Lincoln NE, Siding Omaha NE, Vinyl Siding Lincoln NE, Vinyl Siding Omaha NE on June 13, 2018 by Casey Nelson Exteriors. The Architecture of your home. Most styles have a tried and true color palette. Color ideas for your homes architecture can be found by looking at a variety of web sites. 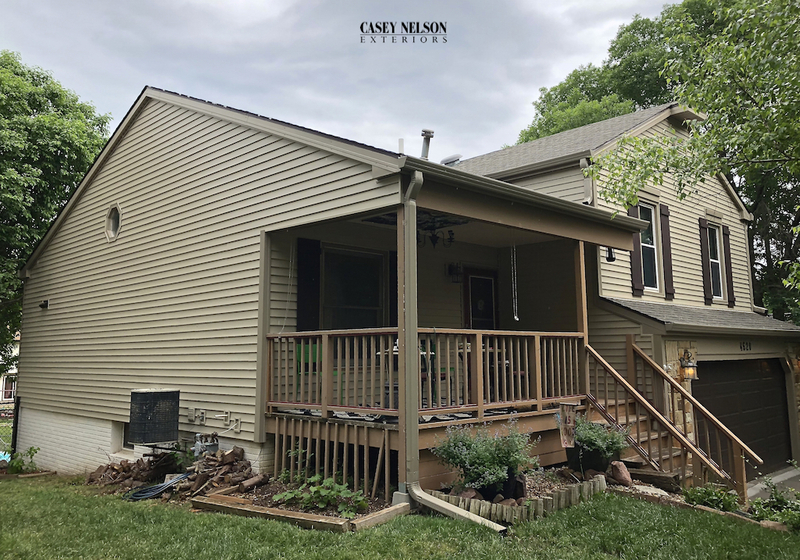 Here at Casey Nelson Exteriors web site homeowners can not only see a wide variety of homes but also look for information regarding color choice selection. 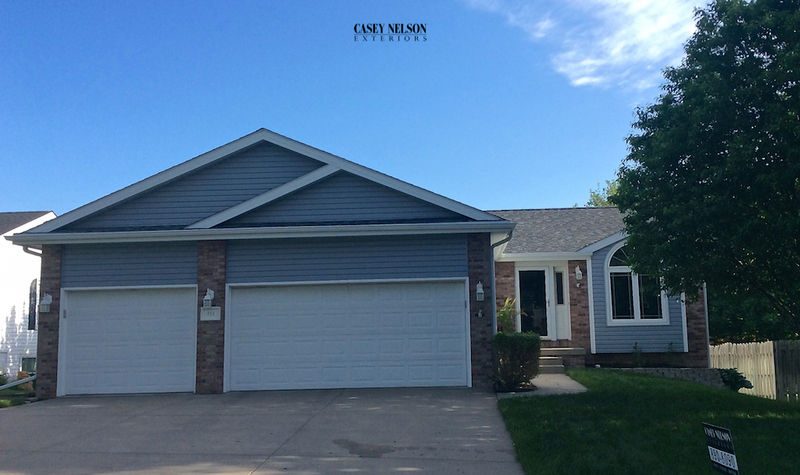 This beautiful home is an example of pulling all the key components together to establish a home that is the talk of the neighborhood. 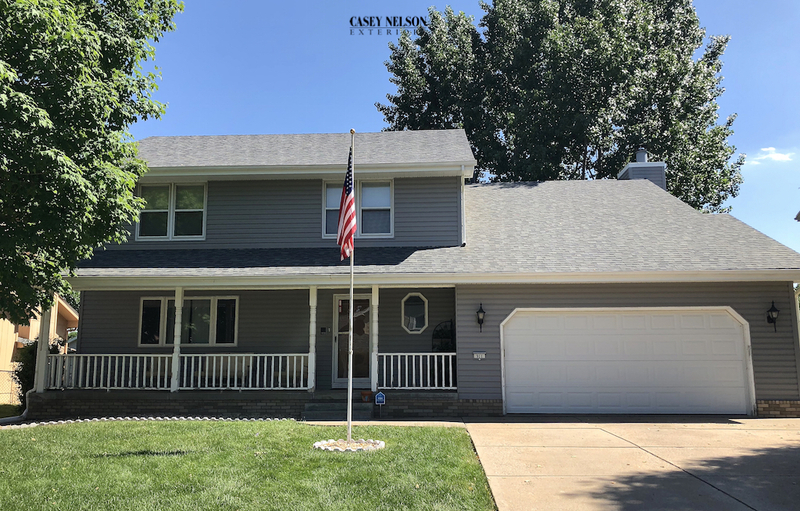 The eye appeal of this home is captured through the color choice of Mastic’s Quest Pebblestone Clay that the homeowners selected for their vinyl siding. Vents, porch ceiling, wraps, soffit and fascia were also completed in Pebblestone Clay. To add detail and pull all the components together for total curb appeal the home owners selected Cameo for the corner pieces of the home! 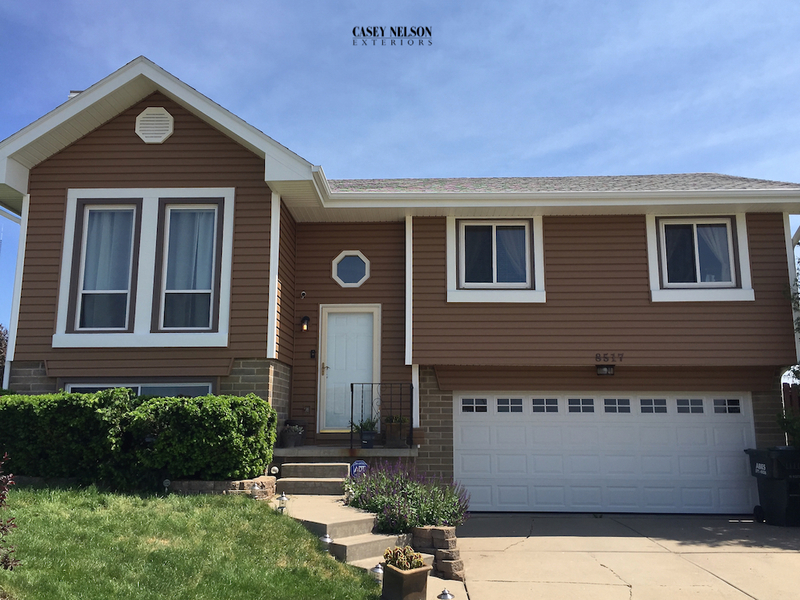 This entry was posted in Recent Projects and tagged Siding Contractor Lincoln NE, Siding Contractor Omaha NE, Siding Lincoln NE, Siding Omaha NE, Vinyl Siding Lincoln NE, Vinyl Siding Omaha NE on June 7, 2018 by Casey Nelson Exteriors. Side split – the split-level is visible from the front elevation of the home. Back split – the split-level is only visible from the side elevation. 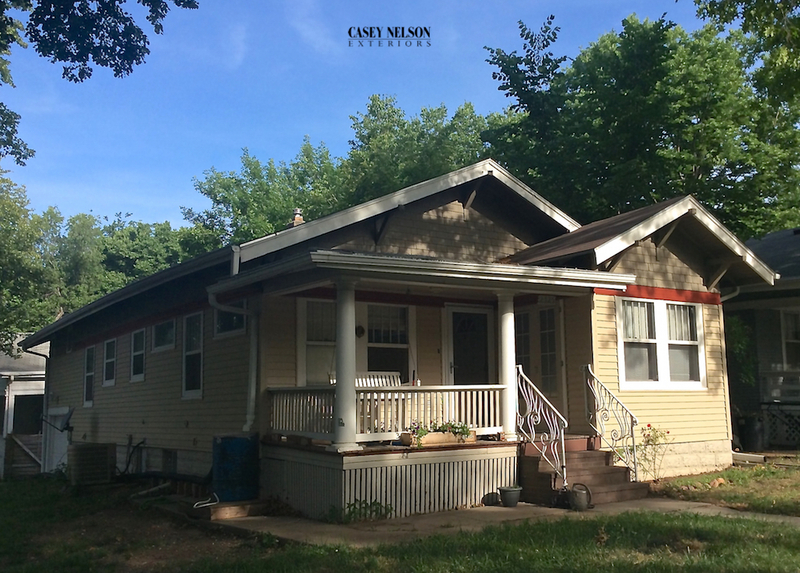 The front elevation shows only a single story and the two stories are in the back. Bi-Level – includes two short sets of stairs and two levels. The entry is between floors. Modified Bi-level – the garage is attached at the front of the bi-level, not under it. 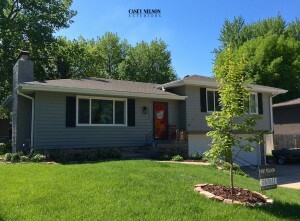 Featured are four split-level homes. 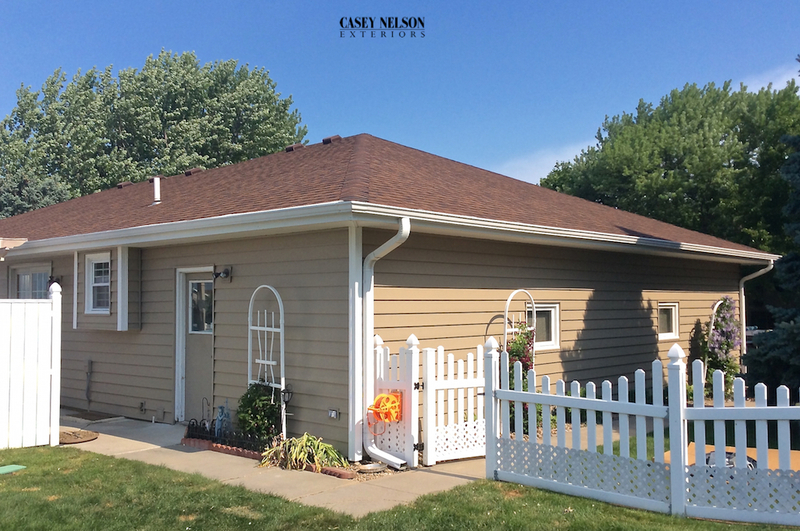 Each home was sided with Mastic Vinyl Siding. 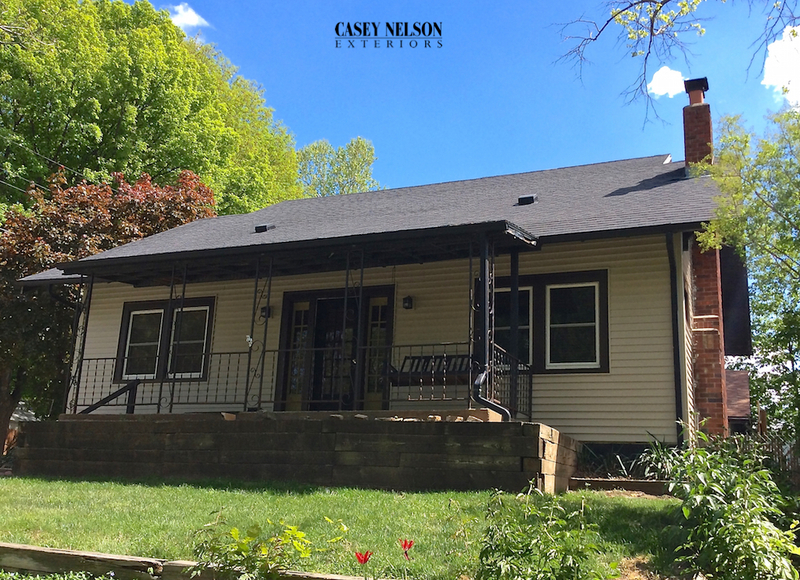 Home 1: Mastic’s Dutch Quest Siding in Autumn Harvest was the choice for this home. 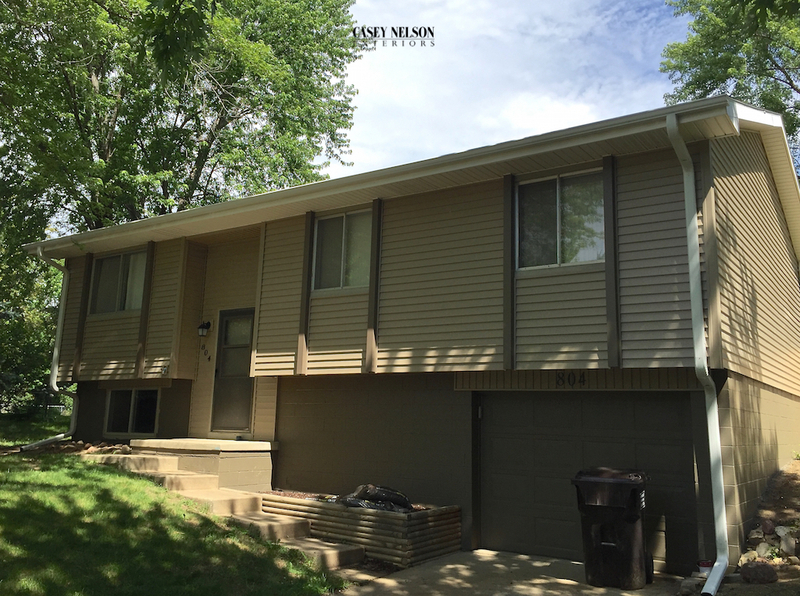 Corners, Gable Vents, Wraps, Soffits, and Fascia were completed in White. 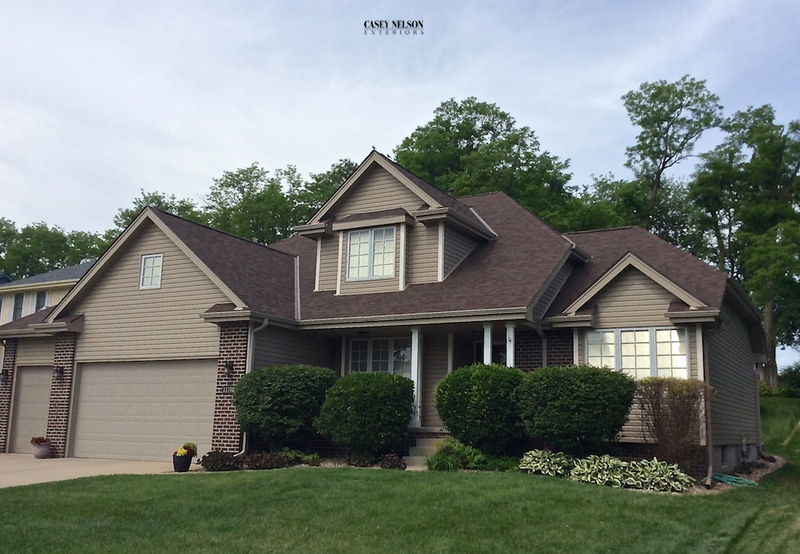 Home 2: Mastic’s Ovation Dutch Siding in Pebblestone Clay was the choice for this home. 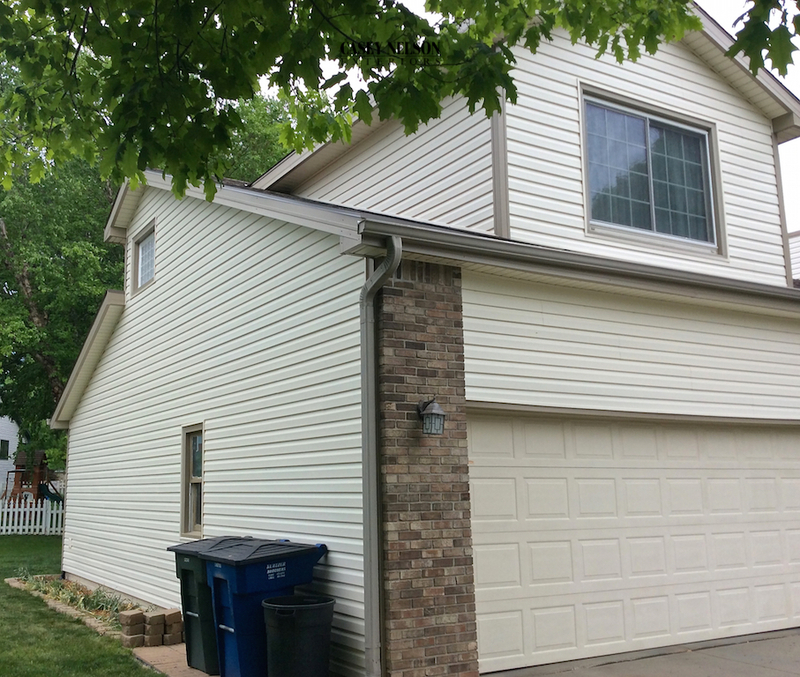 Soffit and fascia were completed in white. 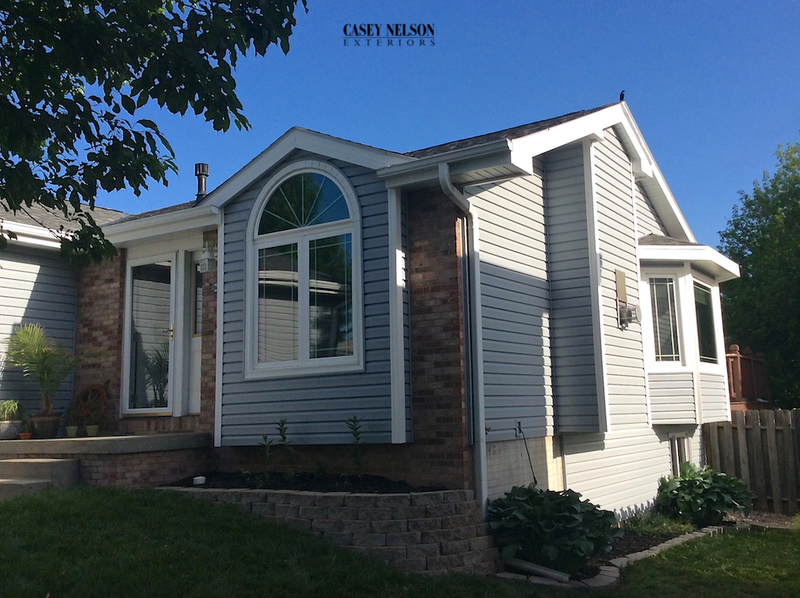 Home 3: Mastic’s Dutch Ovations Vinyl Siding and accessory pieces were completed in Pebblestone Clay for this home. 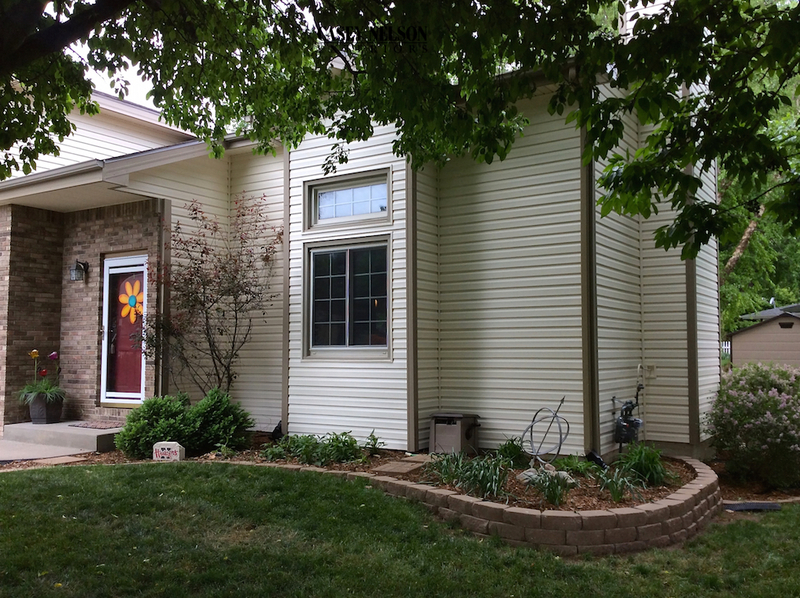 Closed Board and Batten Shutters were added in brow for added architectural detail. Home 4: Mastic’s Dutch Ovation D-4 Vinyl Siding was used in Pebblestone Clay. Porch Beams were covered in Montana Suede. 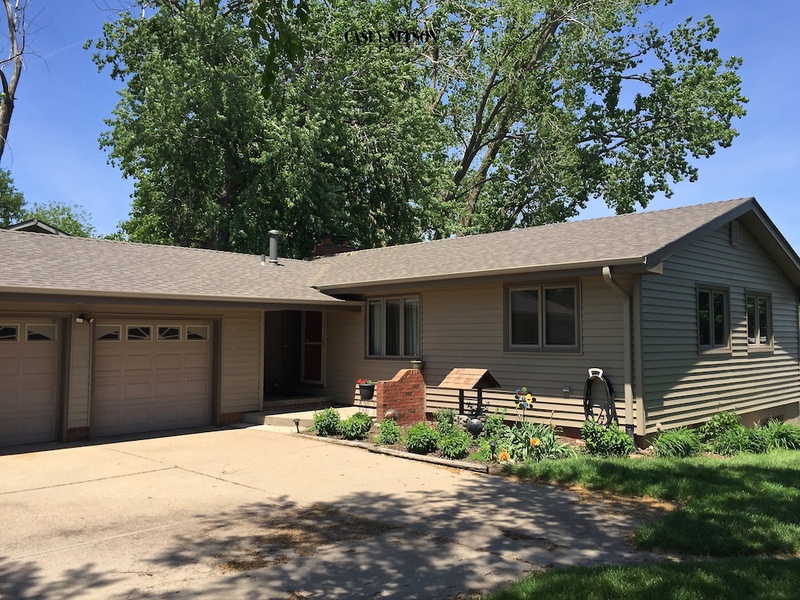 This entry was posted in Recent Projects and tagged Siding Contractor Lincoln NE, Siding Contractor Omaha NE, Siding Lincoln NE, Siding Omaha NE, Vinyl Siding Lincoln NE on June 4, 2018 by Casey Nelson Exteriors.